I'm normally a two eggs any style kind of girl. But when it comes to Sunday Brunch, my favorite meal of any weekend, I'm in constant search for the best LA has to offer. I love the idea of grabbing your best friends and sharing a delicious meal over a mimosa... or 5. 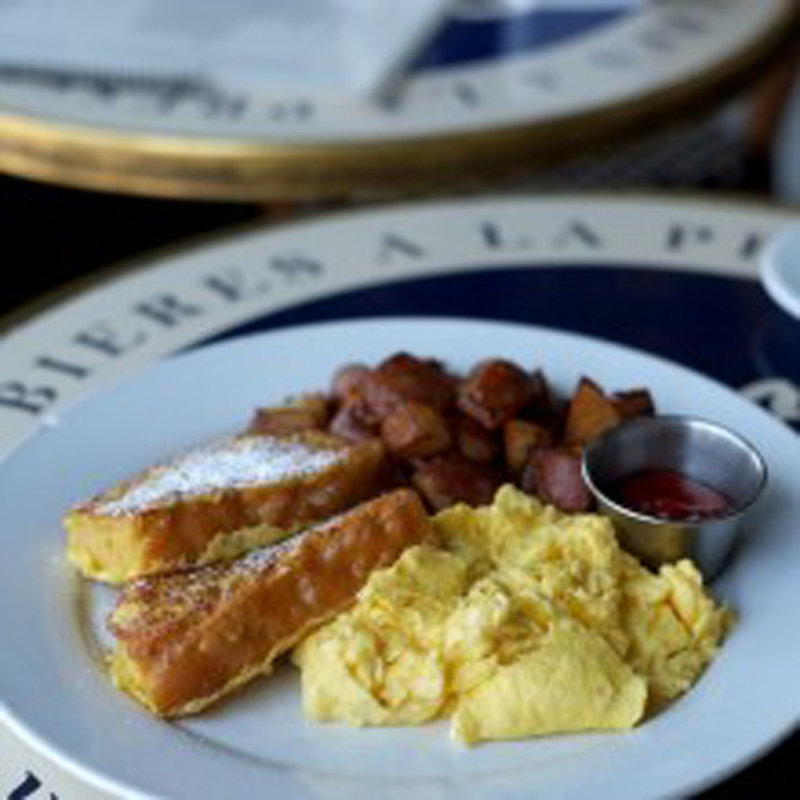 Located alongside American Rag (contemporary men's & women's fashion, denim, vintage, and footwear), Cafe Midi not only has an incredibly chic crowd, serves breakfast all day long, but is also DELICIOUS! You can be as healthy or as naughty as you want with their endless menu options. I absolutely love downtown LA and don't think people give it enough of a chance. A while back my parents, who live in downtown, introduced me to The Nickel Diner and I have been a big fan ever since. This is your traditional diner but with a sophisticated touch and an inspiring crowd. With freshly made donuts on the daily, INSANE pancakes, and quite generous portions, I highly recommend checking out this spot with a ready appetite. If you are looking for a good time, a loud crowd, and bottomless Mimosas and Bloody Marys, then State Social House is your spot. This is definitely one of my favorite places to hit up with a large group. The food is great but what I love most is that when you get bottomless, you are given the bottles of champagne along with your orange juice...to have at the table. You can't really top that! Blueberry Ricotta Pancakes. I REPEAT... Blueberry Ricotta Pancakes. And They. Are. Incredible. This is all you need to know about BLD. I happen to have a soft spot for pancakes but these are a game changer. I promise, you will not be disappointed. Oh- and they're on the menu until 3pm! L.A Chapter, in downtown LA, has recently become a go-to for my family. Why, you may wonder? It may or may not have to do with the ricotta pancakes topped with honeycomb butter. Never have I seen my mom kill a plate of any food faster than I have when she orders these pancakes. The honeycomb butter is EVERYTHING. What I also love is the unique cocktail menu that is offered. This is not your ordinary bottomless brunch spot, but that doesn't mean it needs to be overlooked. I can not wait to hear about your experiences at any of the above brunch spots! Feel free to comment below and let me know of some of your favorite places to hit up, I'm continuously looking for new restaurants to explore! Disclaimer: Not all images used in this post belong to me. I do not claim ownership of those that I have not personally taken.